UpStreet is throwing a Christmas party and you're invited! This party will be like no other. It's so huge and over-the-top it's taken two Sundays to jam it all in! 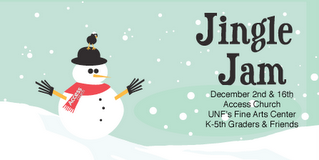 So, invite a bunch of grade K-5 friends to UpStreet with you on December 16. We'll get started at 11:15am, and have an awesome show with great games, zany skits, music and videos—all telling the Christmas story.